So, based on this motto, this post is all about taking control, or rather, it is all about giving you the incentive to (re-)take control. 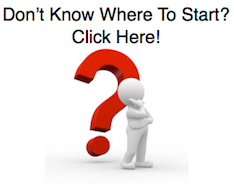 I guess you know by now that this blog exists because I want to share my experiences as a facilitator and a trainer with those who have an interest in realizing their career or training objectives, those who are into lifelong learning and personal development. In my short life, I have met many colleagues and friends around me who have had great ideas and plans, yet did not execute them. I hope they will one day! Surprisingly enough, many people plan to do lots of things, whether it is for this week or for the next holidays with the kids. And, they might alter those plans, but very often, they execute those plans. Yet, when it comes to more ‘business-oriented’ ideas or even goals, there is a rather big difference between what is being talked about and what really is being done. There are so many amazing people out there who have great ideas and plans, yet only some of them actually put them to action. Why? Good question! I guess, people have already a full agenda as it is, or maybe they come up with excuses because they are afraid or they simply change their priorities. What do you do? Do you also have an overloaded agenda where you just do not see the time to do the things you want? Take control again, step by step. And then take a chance to pursue those goals. Go for a walk, right now, just back and forth to/ from your favorite bakery or grocery store. Start reading the first chapters of the book which has been lying next to your couch for the last month and you have been wanting to get to it. Say ‘no’ to your boss. You choose the topic. Call that one person whom you have been wanting to contact for a while. Have a coffee with her/him, if (s)he is in your neighborhood! Leave your mobile phone at one particular spot at home and do not touch it again for the rest of the evening, unless it rings. Go offline for the entire weekend. 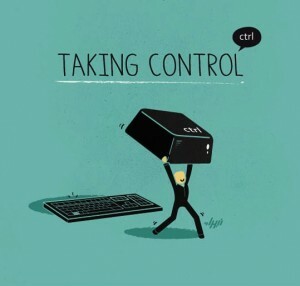 What will you do to take control?